Post written by Paul de Vries and Simon Droog. Follow them on Twitter. 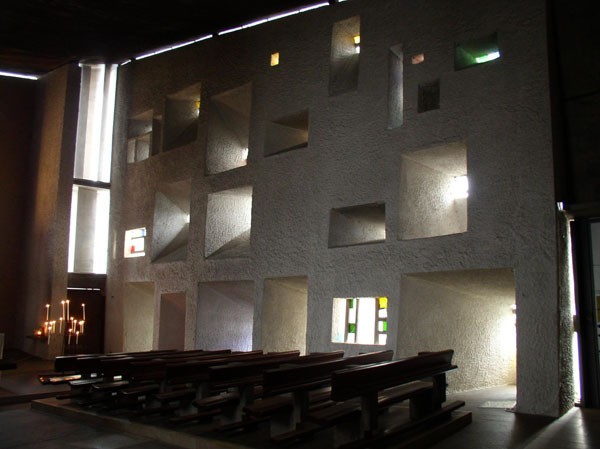 Fig.1 Apse in the Chapel of Notre-Dame-du-Haut at Ronchamps, Le Corbusier 1954. 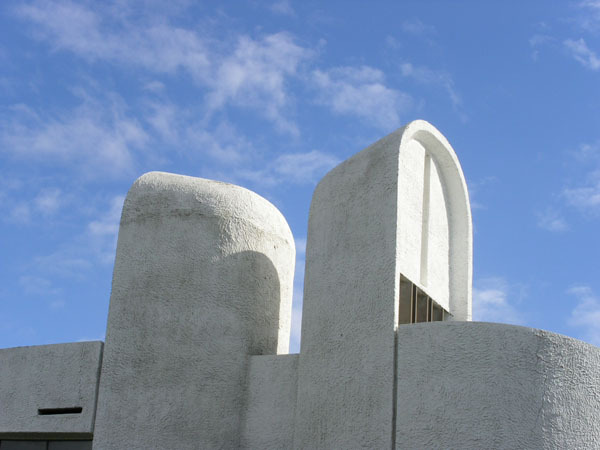 In this part we’ll talk about one of the famous projects by Le Corbusier – The Chapel of Notre-Dame-du-Haut. From a distance you can see the white tower sticking out of the woods and the more you climb up the hill the more of the white walls of the church will be revealed. This route is probably influenced by the procession to the Parthenon. As you come nearer you discover that there is not one plane surface, the entire building curves and swells into an extraordinary composition. You need to walk around to grasp a bit of its complex form and to find the entrance. Entering the building the first thing that strikes you is that it is very dark. After your eyes have adjusted to the darkness, you will discover the beautiful mystic light. Light coming through deep piercings of unequal size in the thick right wall. From the outside these piercings seemed to be only tiny windows, but inside they open up into large white embrasures that cast a great deal of reflected light into the dim room. Some of the small windows are painted and bring some coloured light in the chapel. Between the white walls and the grey concrete ceiling is a very narrow opening which admits just the right amount of light to show texture of the casted concrete ceiling. The towers appear in the interior as apses, recessed enlargements of the room. These white painted apses are lighted with indirect light from above shed magic light over the curved walls. The light creates the effect of enclosed space, like a campfire does in the darkness. Light alone can already create the effect of enclosed space. If you have any questions or remarks, just drop us a line in the comment section below of send us an email through the contact page. 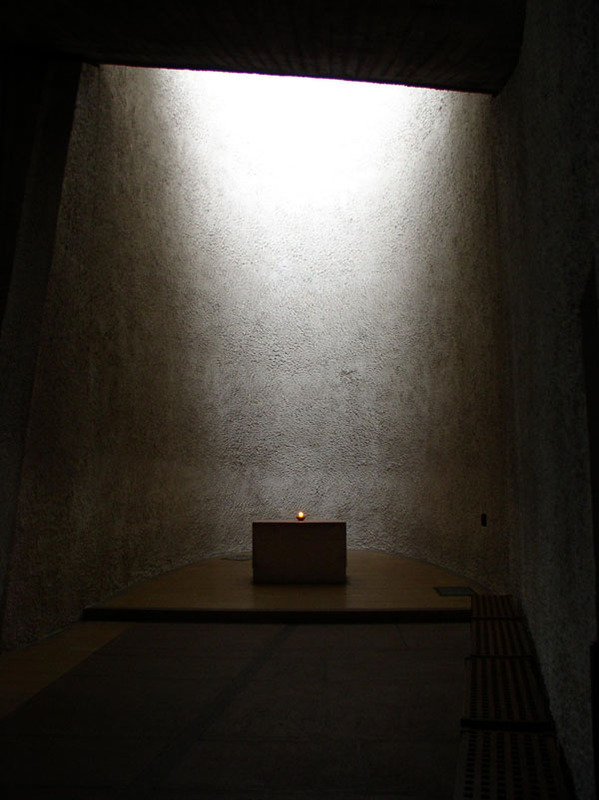 We have just seen your beautiful film of the Ronchamp chapel – thank you; we have sent the link to others. You have done a wonderful job. The music is perfect.